Sotto German Shepherds is a small hobby kennel located near Oakbank, Manitoba, Canada. 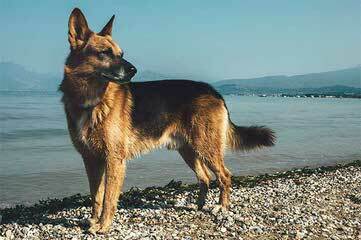 Our German Shepherds are true family members that reside in our house with us as companions and protectors. We breed only quality "working/sport" German Shepherds that will be loyal with strong working drives and protective friends. We only breed adults that are worthy to reproduce. Worthy to us is mentally healthy, physically sound, lots of personality and heart, and have intelligence that has been proven by the working (Obedience) titles they have earned. They must be certified hips/elbows and DM tested. I am looking into the possibility of a German Shepherd puppy, and I wondered could you please tell me what you would expect in price for a female pup, and how many times per year you expect to have litters?